How Many 7 Footers Are in the World? Wow! This is an incredible stat! About 2800 people in the world are 7 feet tall or taller. Considering that the world population is approximately 7.4 billion people, this means that the percentage of 7 footers is 0.000038%. This incredibly small percentage of people explains why they are extremely sought for in the NBA. Not only because they are tall, but because they are very scarce. This also explains how many of the tallest NBA players are not that skilled, or have trouble making simple free throws. This reason is that they don't need to be good at basketball because merely being 7 foot talls ensures that your odds of making the NBA are very high, regardless of skill because it is hard to find many others that tall. 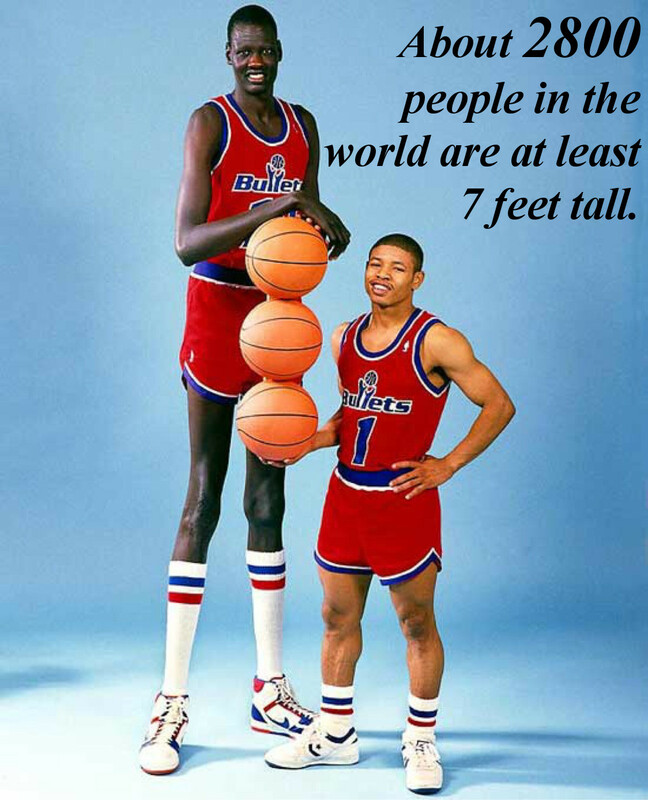 In fact if you put it in perspective, the ratio of 7 footers to the world population is roughly one 7-footer for every 1.1 million people. These odds are similar to many lotteries! So if you ever meet someone 7-foot tall (excluding going to a basketball game ;)) consider yourself as lucky as if you had won a lottery!